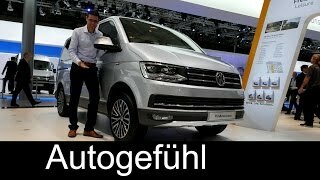 At the Frankfurt Motor Show 2015 Volkswagen rolled the dices with its new Volkswagen Multivan PanAmerican Concept 2016. The model is highly spacious and simultaneously offers lot of comfort and entertainment for your long expeditions (with your bike). 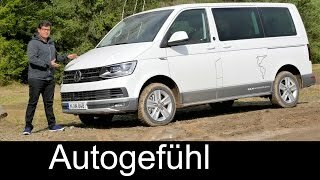 Let us have a look at the review of Volkswagen Multivan PanAmerican Concept 2016 to know more about it. The interior details of Volkswagen Multivan PanAmerican Concept 2016 are not yet revealed but apart from cabin, company shared that there will be lots and lots of space inside the model. With this ‘lots and lots’ we mean you can house your motor bike inside it with electrically assisted loading and unloading and travel to places that you want to. Talking about the presumptions linked with cabin, we heard of a navigation system and other infotainment and entertainment features to make your ride better. Seats are expected to be wrapped in Alcantara and Nappa leather for better comfort however we still are not sure about the same. 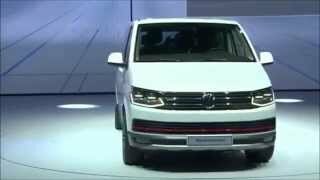 So rather than talking about presumptions and rumors, we’d suggest you to wait till the time either company comes with a production model or they share the details of the concept and we assure to share the interior details of Volkswagen Multivan PanAmerican Concept 2016 that very same day with you. The exterior of Volkswagen Multivan PanAmerican Concept 2016 comes painted in Oryx White. Starting with the front fascia, the radiator grille looks aggressive and bold while there is also a lightweight metal body under guard. The grille comes with traditional Volkswagen logo adorned over it while the headlamps are wide and elongated. There is also a red strip running through the air vent integrated in bumper and the same trend follows the path over the side sills and trunk lid. 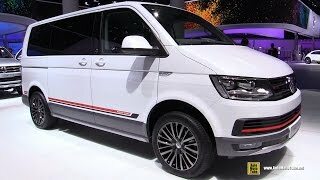 In all rounding up the exterior details of Volkswagen Multivan PanAmerican Concept 2016 I would say it looks luxurious, aggressive and bold. The engine beneath the hood of Volkswagen Multivan PanAmerican Concept 2016 is a 2.0 liter TDI BMT generating total output of 202 hp and peak torque of 450 nm paired to seven-speed DSG transmission. The drivetrain type will be 4motion permanent wheel drive as standard for all the vehicles. 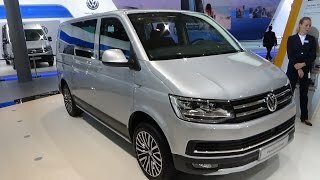 The performance figures of Volkswagen Multivan PanAmerican Concept 2016 are not yet shared but I believe that looking at the space and other features they are never a point of concern.